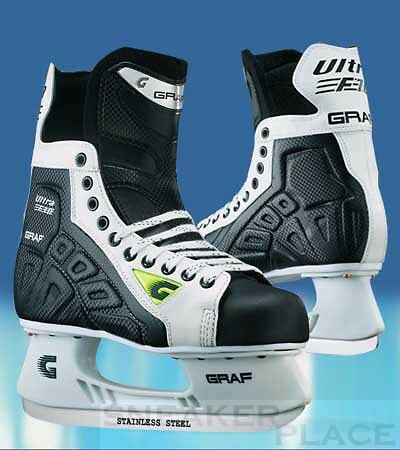 Graf, a leading manufacturer of professional ice skates for recreational athletes has brought a basic model with high lateral stability to the market. The solid hockey skate has a breathable lining and a very pleasant ankle padding. The tongue is very rubuste inside lined with felt material and seeing the contactor of the foot against excessive strain and irritation. As the blade holder has a composite material with Count refined steel elected. The skates run small, please order them at least one size bigger! Great entry-level model for leisure skaters and amateur hockey players. Very good value for money.